Energy auditing offers insight into a facility’s potential waste from mechanical systems and insulation. Heat loss and gain where mechanical insulation is lacking can cost your facility money, and energy costs are likely to continue rising. When process heating and cooling is part of your building system, you can see return in months on simple upgrades like valve covers. Optimizing your insulation levels can also put less demand on pumps and motors, reducing runtime and increasing life expectancy. Let G&R Help you identify areas with unwanted heat loss heat gain with our residential infrared service. 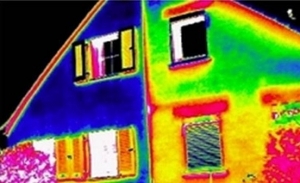 Areas in a home may be poorly insulated and not always obvious when viewing with the naked eye. Contact us today for a FREE CONSULTATION with one of our spray foam insulation experts. If you're looking for residential or commercial spray foam insulation, look no further! G & R Insulation has solutions for both residential and commercial insulation.